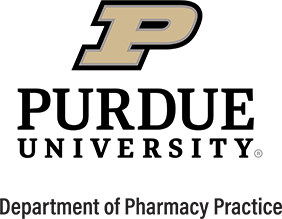 The Purdue University College of Pharmacy has a variety of post-graduate Residency and Fellowship programs for those seeking advanced training and education. Each program provides selected candidates with mentored oversight during a one- or two-year period, depending on the program selected. With a concentration in clinical pharmacy practice and research, the multitude of programs offer candidates a variety of experiences, including inpatient and outpatient practice, medication safety, community pharmacy, regulatory bodies, and global health. The Purdue University College of Pharmacy offers additional unique opportunities, including a global health residency, a highly competitive fellowship in collaboration with pharmaceutical industry sponsors and the FDA, as well as an ACCP accredited fellowship in community practice. Please see this page for a complete listing of available opportunities. Classroom teaching skills are developed and expanded under faculty direction and mentorship. 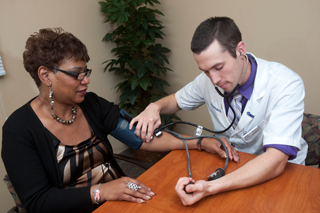 The Indiana Pharmacy Teaching Certificate (IPTeC) is incorporated into each residency and fellowship program. Additionally, trainees are afforded the opportunity to participate in the Great Lakes Pharmacy Resident Conference held each spring at Purdue University. 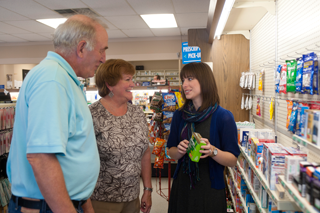 Purdue University College of Pharmacy faculty, along with their partners, work closely with each resident or fellow to provide excellent advising and guidance to ensure a successful, individualized, educational experience.